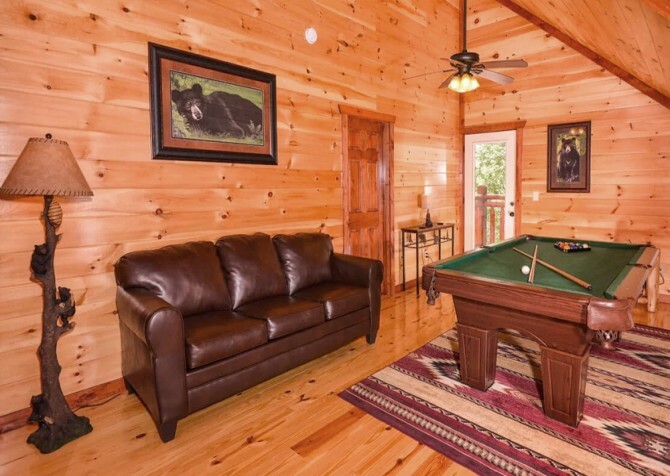 If you’re bringing the kids or a couple extra guests, Sherwood Sanctuary provides several sleeping options besides the king-size bed in its master bedroom, and you’ll have plenty of space to relax with the spacious living room and upstairs loft with twin bunks and xBox One console. 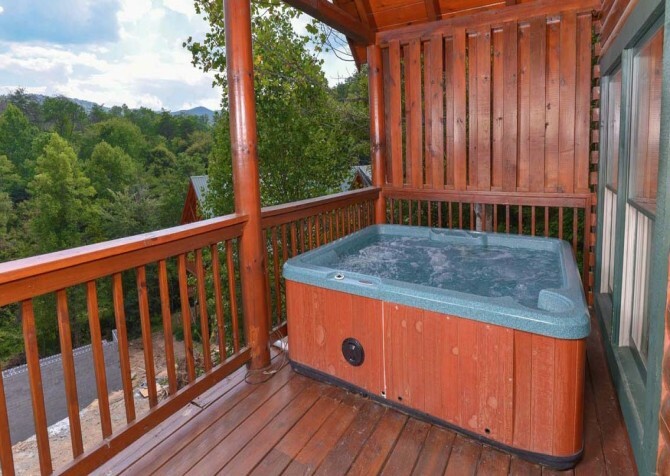 Throughout the year, catch partial mountain views from Sherwood Sanctuary’s back porch, and in the summer, don’t miss community pool and hot tub access in the Sherwood Forest. 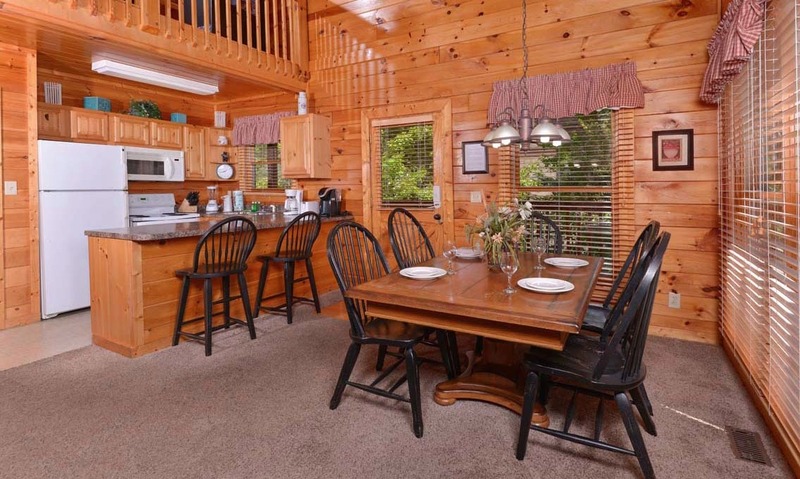 Conveniently, downtown Pigeon Forge is less than 4 miles from this cozy cabin, so be sure to check out nearby attractions like Dollywood and Dolly Parton's Stampede with your family or a small group of friends during your stay at Sherwood Sanctuary in the Smokies! 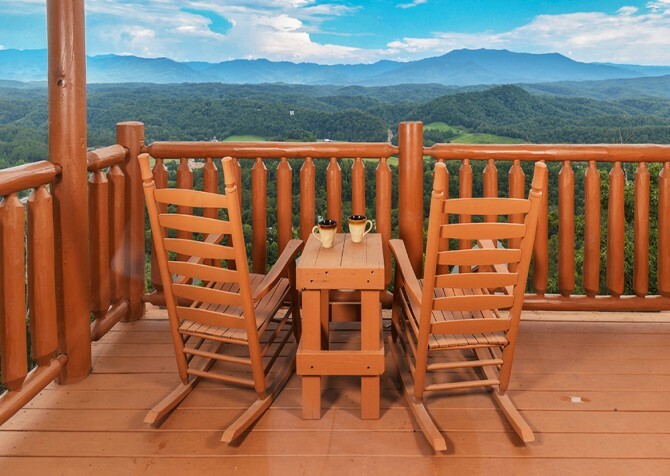 No getaway to Pigeon Forge is complete without a visit to the Great Smoky Mountains National Park, the historic Old Mill, or one of downtown’s newest attractions, The Island! 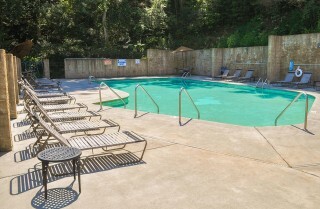 But after all the fun of exploring these nearby sites, you’ll want a comfortable place to kick back and relax. Well, say hello to Sherwood Sanctuary’s cozy living room! The focal point of this space is a gas fireplace with natural stonework all the way to the ceiling. 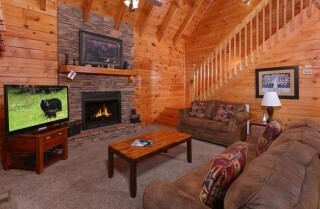 Right beside the fireplace, you’ll find a big screen TV complete with a 3D home theater system. 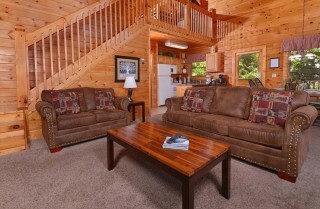 Use these amenities to watch your favorite DVD while relaxing on one of two leather couches provided by Sherwood Sanctuary—a full-size couch (which doubles as a queen-size sleeper) and a matching loveseat. 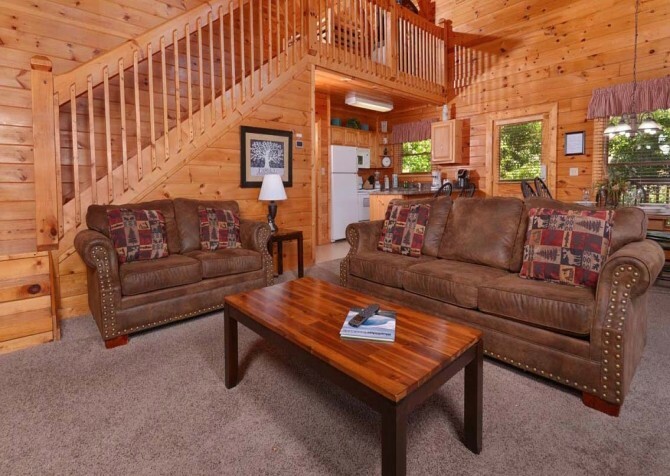 In the center of the living room, you’ll find a large coffee table that’s perfect not only for your coffee, but also for board games, cards, and Cabins for YOU gift baskets—the perfect complement to any Pigeon Forge stay! Just the right size for a small group, Sherwood Sanctuary’s cozy kitchen features everything you’re used to at home and maybe a few things you’re not. Enjoy all your major appliances, including a full-size refrigerator, dishwasher, electric stove and oven, and over-the-range microwave. On the counter, you’ll find a few other handy appliances like a blender, electric can opener, toaster, coffeemaker, and Keurig 2.0. Feel free to use any and all of these amenities during your stay. You can plan for breakfast in the cabin, pack picnic lunches for the Great Smoky Mountains National Park, and enjoy family-style around the table. 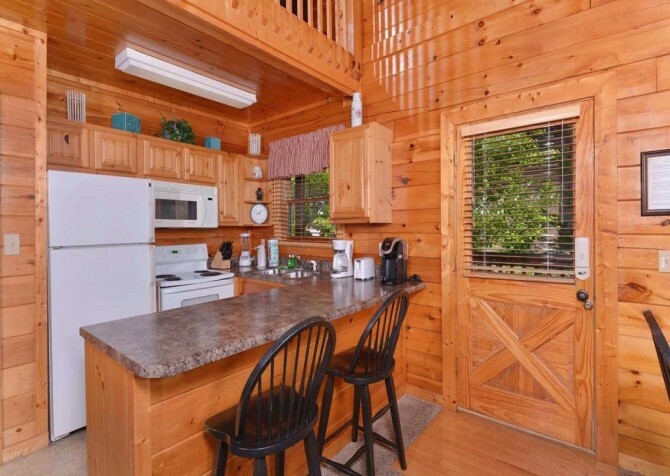 But even if you choose to dine out, you’ll still find Sherwood Sanctuary’s kitchen handy for storing and reheating leftovers, keeping cold drinks, and satisfying your late-night cravings. When it comes to eating in the cabin, you’ll love having a traditional dining set for your family to enjoy. 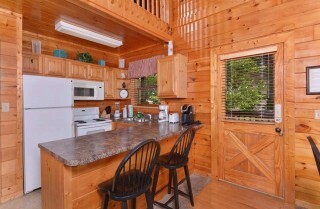 Comfortably sit 5 around the table, and use the nearby breakfast bar for 2 more guests. 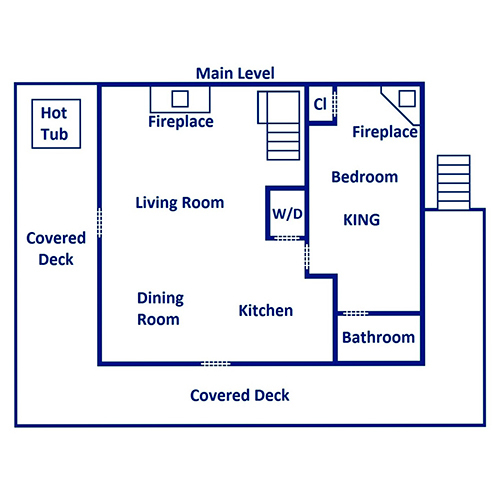 You can also spread out to the comfy living room thanks to Sherwood Sanctuary’s open-concept layout. Enjoy time together around the table not only during mealtime, but also on family game nights with favorite board games and decks of cards. 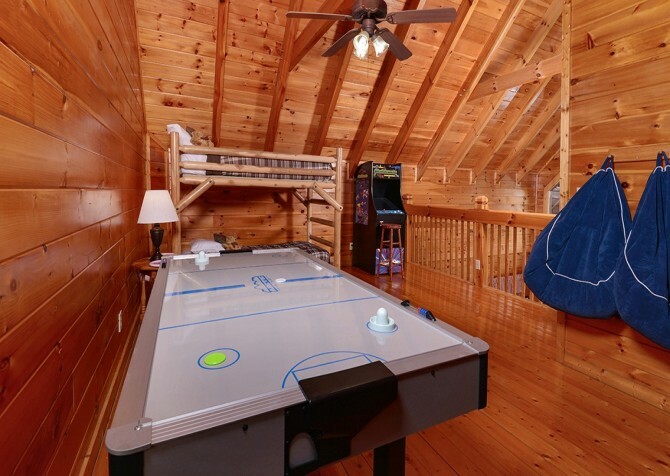 We recommend packing several games for your Pigeon Forge vacation—some for the car, for the cabin, and even for a nearby park. 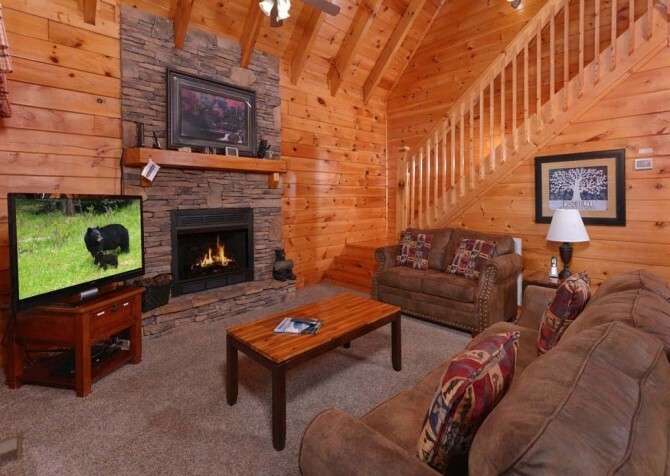 There are tons of ways to spend time as a family in the Smokies! 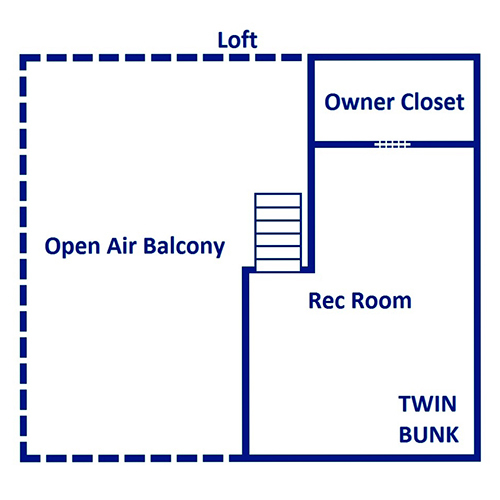 The upstairs loft in Sherwood Sanctuary doubles as a hangout space and second bedroom. For hours of indoor fun, play on the multicade game featuring Donkey Kong and Frogger. 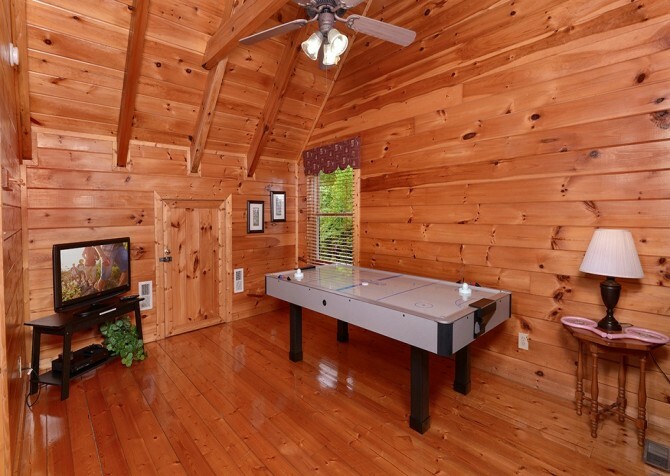 But if that’s in use, you also have access to a flatscreen TV and Xbox One in Sherwood Sanctuary’s loft! Bring your favorite games or use the Xbox to watch a DVD or Blu-ray disc on a rainy afternoon. You’ll have a comfy couch to relax on, and the additional sleeping space in this room consists of a twin-size bunk. 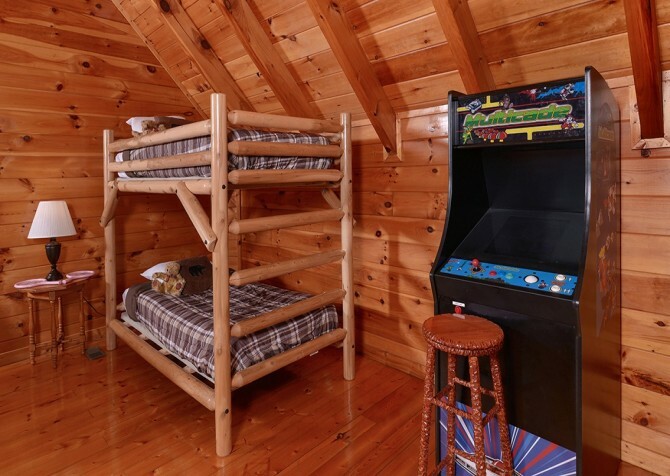 The loft is a great space for kids traveling on your Pigeon Forge vacation—they’ll love having a “bedroom” that’s loaded with ways to have fun. But it’s also functional for a second couple or a small group of friends. If what you’re looking for in a bedroom is warmth, luxury, and plenty of space, Sherwood Sanctuary’s large master bedroom is sure to impress! Enjoy warm wood walls and carpeted floors in this large space. 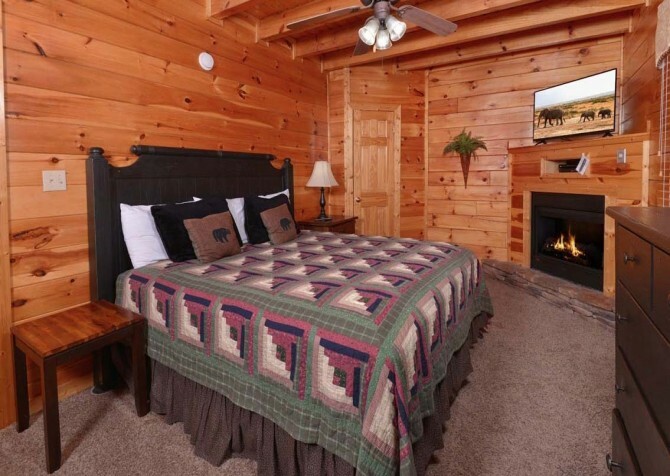 For the perfect way to relax, curl up in your king-size bed in front of your electric (no heat) fireplace, and turn on the big screen TV in the corner. 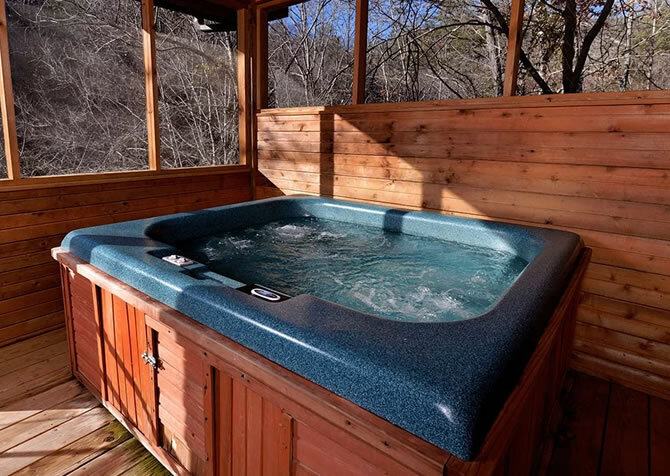 You can watch your favorite shows before bed or head to the opposite corner for a relaxing soak in your indoor jetted tub. This bedroom also provides homey accessories like a nightstand with a reading lamp, a ceiling fan, a CD player, and a bureau for storage. Along with this bedroom, Sherwood Sanctuary provides an extra sleeper and the twin-size bunk in the loft, so you can comfortably accommodate 6 guests inside this 1,200-square-foot cabin. 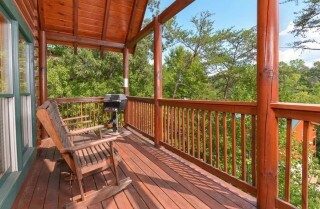 Enjoy a quiet afternoon on your rocking chair porch. Cook a Fourth of July feast using this cabin’s gas grill. 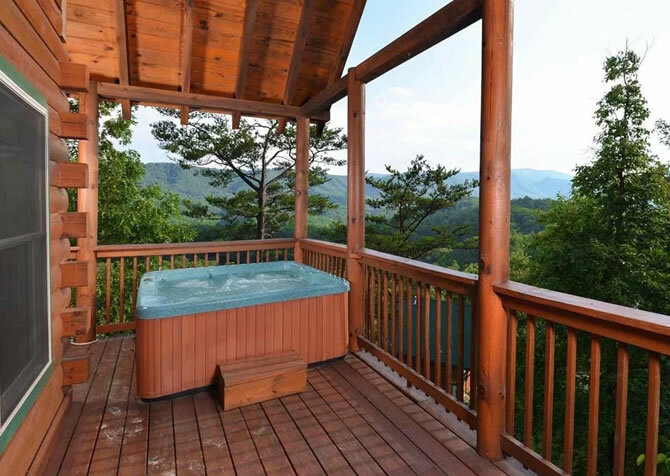 Spend a relaxing evening in your outdoor hot tub with a privacy screen that overlooks the Smoky Mountain trees. You can do all this and more in Sherwood Sanctuary’s outdoor spaces! This cabin offers a tree-studded view with partial mountain vistas (you’ll see more of the mountains in late fall and winter). 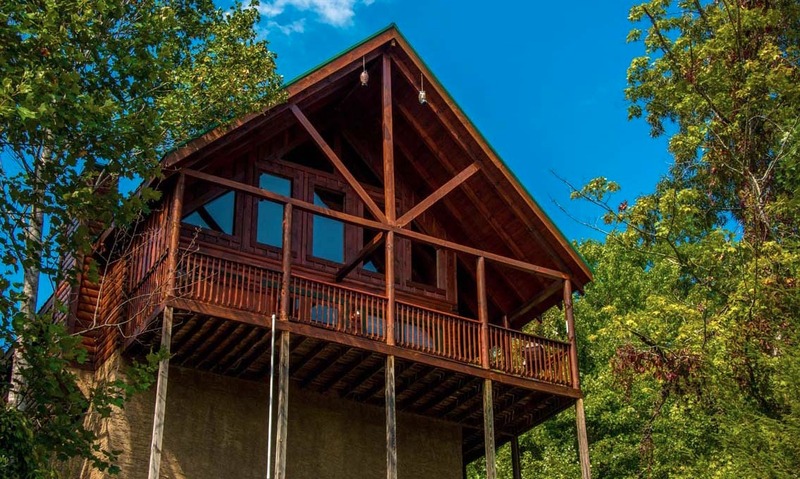 The trees provide shade and privacy during your Pigeon Forge getaway, and even though this cabin is less than 4 miles from downtown, you’ll feel like you’re really staying at a quiet cabin in the woods! 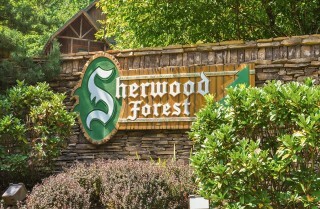 Sherwood Sanctuary is located in Sherwood Forest, a gated community only a few miles from downtown Pigeon Forge. One awesome perk that comes with any cabin inside this community is access to a large outdoor pool and hot tub! If your family is looking for a fun way to cool down over the summer, simply head down the road for some free, outdoor fun! Sherwood Sanctuary also provides a few other valuable amenities, including a flat, paved (motorcycle-friendly) driveway, access to a washer and dryer, and high speed wireless internet. 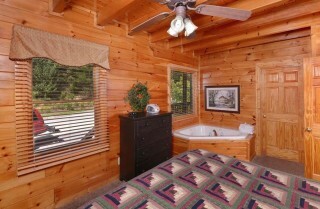 We don’t want you missing out on the conveniences of home during your Pigeon Forge stay. 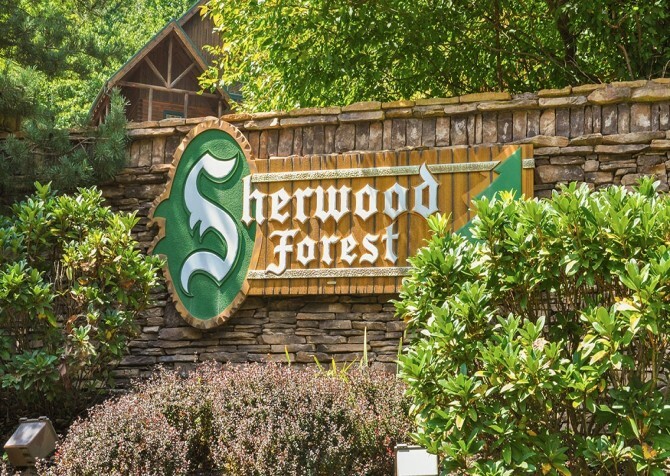 So make the most of all that Sherwood Sanctuary has to offer when you come to town! 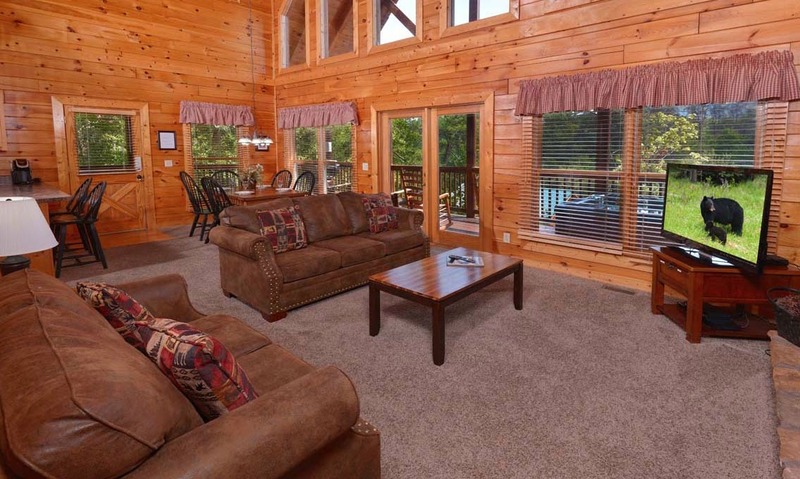 Less than 4 miles from downtown Pigeon Forge, Sherwood Sanctuary makes it easy to access popular Pigeon Forge attractions for couples, families, and groups of friends. 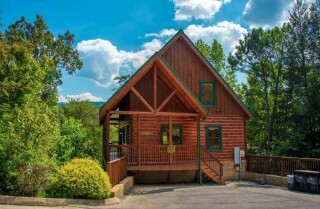 If you aren’t sure where to start when it comes to planning your downtown adventures—maybe this is your first trip to the Smokies or you want some fresh ideas—here are 3 unique shows you’ll find close to the cabin. Dinner shows are popular in the Smokies and a great way to spend the evening whether you’re on a date or a family outing with the kids. Choose between their award-winning family comedy variety show or the Amazing Animals Exotic Pet Show at this popular Pigeon Forge venue. Completely revamped and ready for visitors, the Lumberjack Adventure dinner and show features good food, amazing acrobatics, and—of course—a stage full of talented lumberjacks! 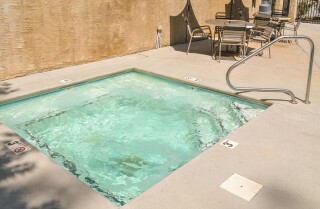 "Love these people they are experienced and help you with your needs. I highly recommend Cabins for You, you will not be disappointed. 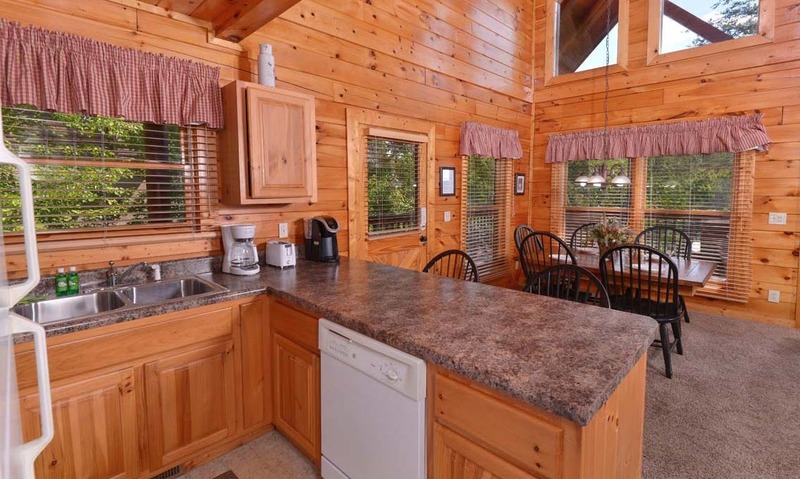 They have some of the most beautiful cabins with great views and treat you like family."